Little bowls are a handy thing to have around the house. They're great for holding jewelry, keys or even office supplies. And what's better than a small bowl? A brightly colored small bowl with a pretty pattern! Click through to find out what these lovely pieces look like when they're finished. 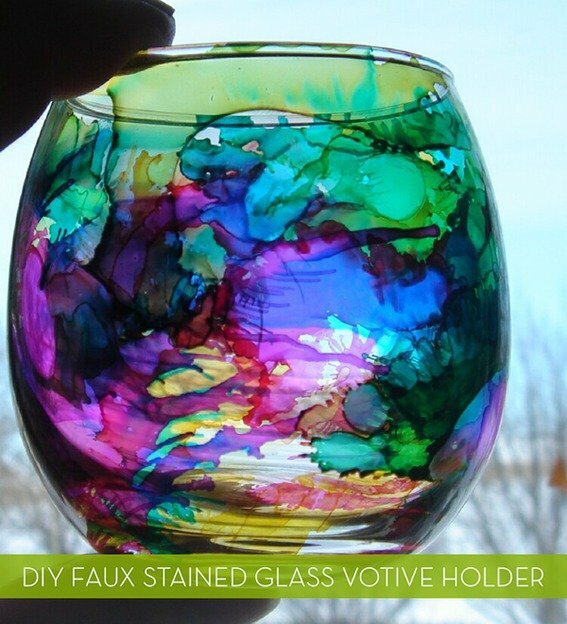 Not only are these colorful glass votive holders stunning, they're a cinch to make! I have been pining over Harri Koskinen's Frekvenssi wallpaper for Marimekko (pictured below) since I saw it ages ago in a magazine. I decided that I must use the wallcovering in my new place. Since I am currently renting, I thought of purchasing a bolt and framing it. Then, I thought of the cost and quickly changed my mind. I was determined to find a low cost way to use the wallcovering. How to make glitter and re-ink ornaments. Amy at Prairie Paper and Ink has created the prettiest ornaments using glitter and stamp pad re-inkers. A very cool thing about these baubles is that the glitter is inside the ball, which means you get all the sparkle without all the pesky glitter dandruff! Amy assures us they're very easy to make too, and you just need a few things to get started. How To: Print With Bubble Wrap. The repeated circular pattern with the inconsistencies of air makes bubble wrap a fascinating stamp for inking and printing. DaisyYellow has a great tutorial here. Nothing exemplifies commitment like a tattoo. And since that applies to crafters as well, why wouldn’t someone who loves their hobby proclaim it to the world with a little ink? To see more pics of crafty tats, go here. ly customizable, and a perfect weekend project... i wish they had stamps like these at my local craft store.